1. What are Ionic Bonds? 2. 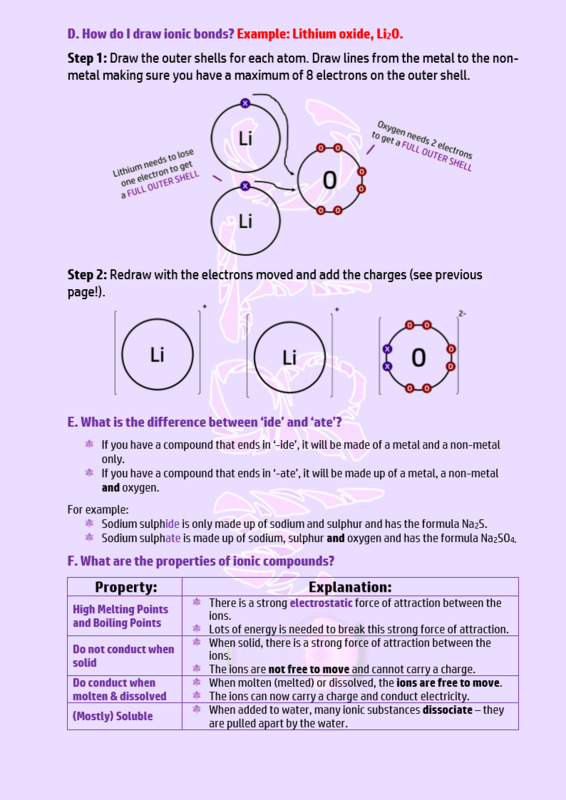 How can I draw Ionic Bonding? 3. What is an ion? 4. Calculating protons, neutrons and electrons for an ion. 5. 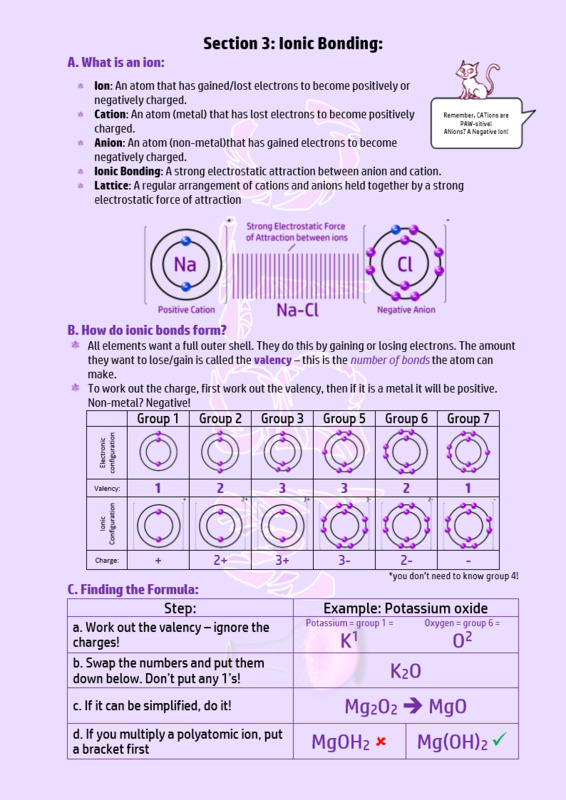 Ions in groups 1, 2, 6 and 7. 6. What do the endings '-ide' and '-ate' mean? 7. How can I work out the formula for ionic compounds? 8. What is the structure of an ionic compound? 9. What are the properties of Ionic Compounds? 10. Ionic, Covalent, or Metallic? 1. What is a Covalent Bond? 3. What size are molecules? 4. 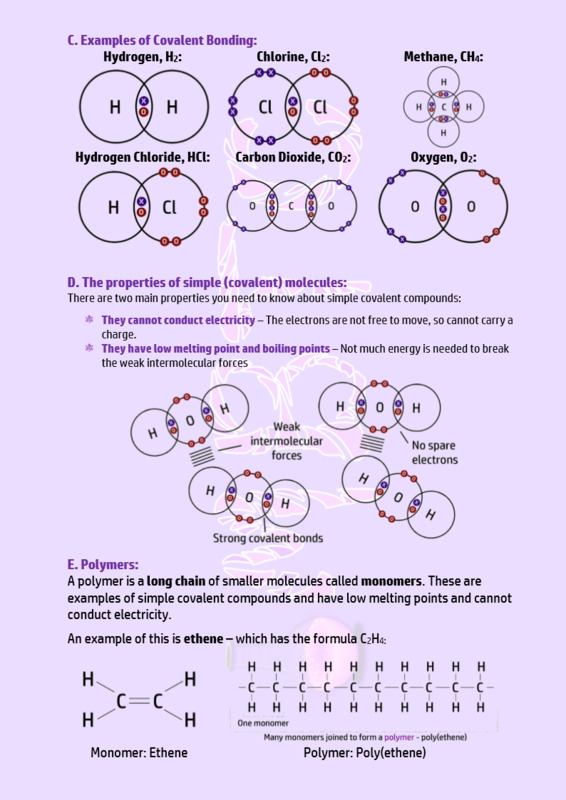 (F) How can I draw Covalent bonding? 5. 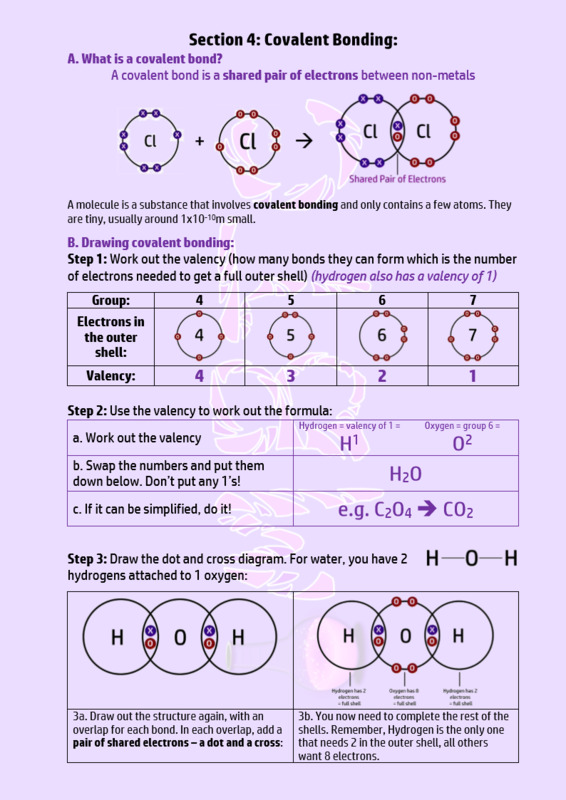 (H) How can I draw Covalent bonding? 6. Why do Simple Covalent substances have low melting points? 7. 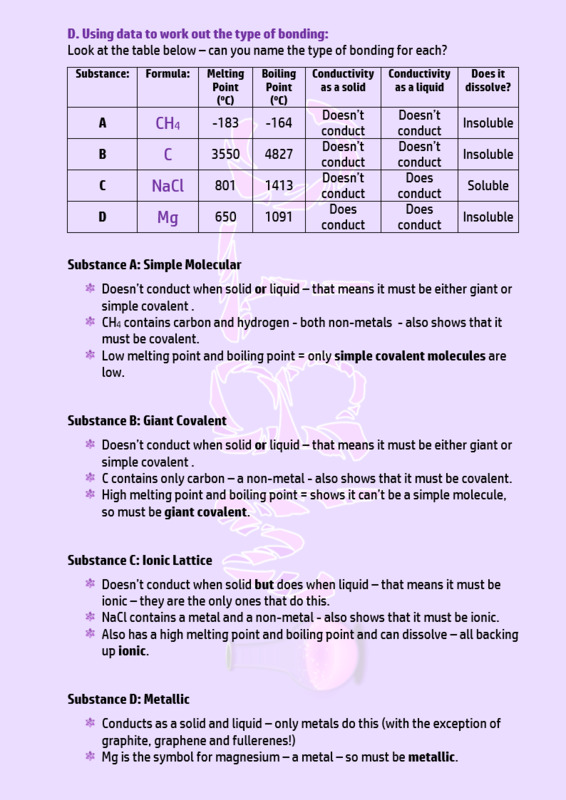 Why do Simple Covalent substances not conduct? 9. What is the structure of Graphite and Diamond? 10. 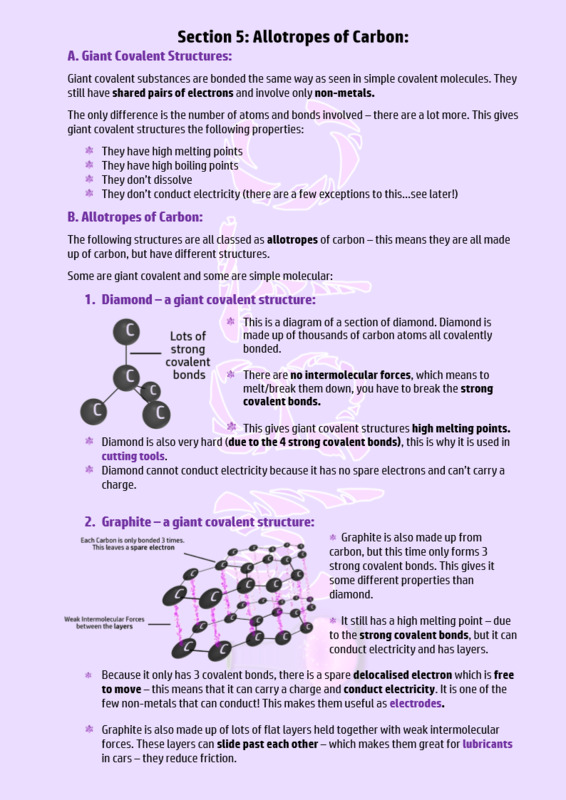 Explaining the uses of Graphite and Diamond. 11. 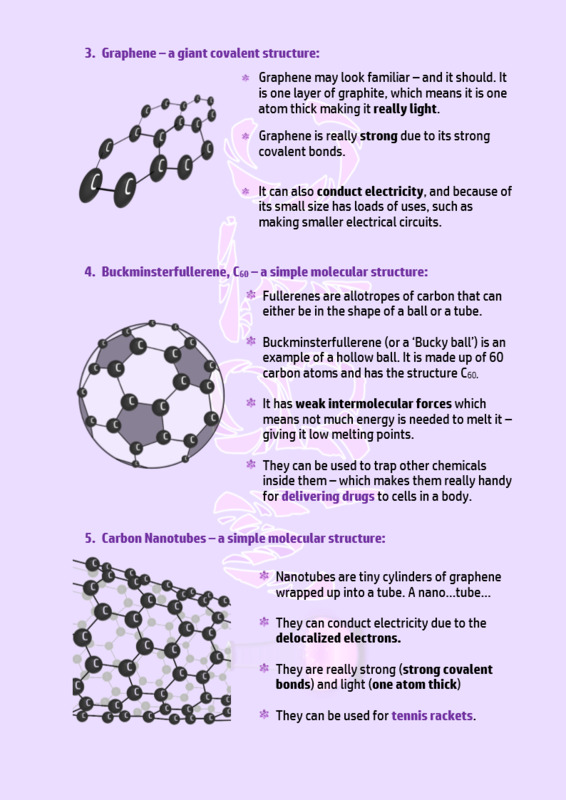 What are C60 and graphene used for? 1. 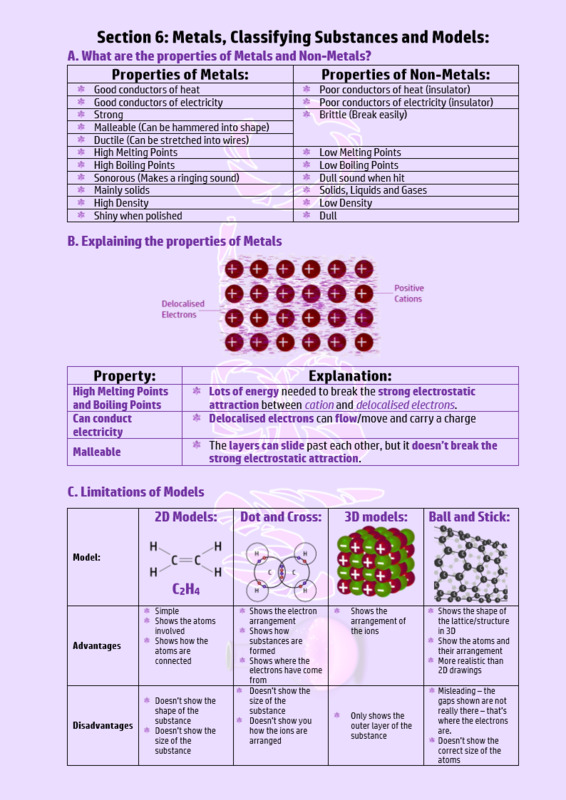 Properties of Metals and Non-Metals. 2. Why do metals conduct? 3. Why do metals have high melting points? 4. Why are metals malleable? 5. Ionic, Covalent, or Metallic? 6. Are the models we use all useful? 7. What are the uses of Polymers?